What’s Jeremy Corbyn been up to, then? It’s more what he’s not been up to. He’s not been singing the National Anthem in public. 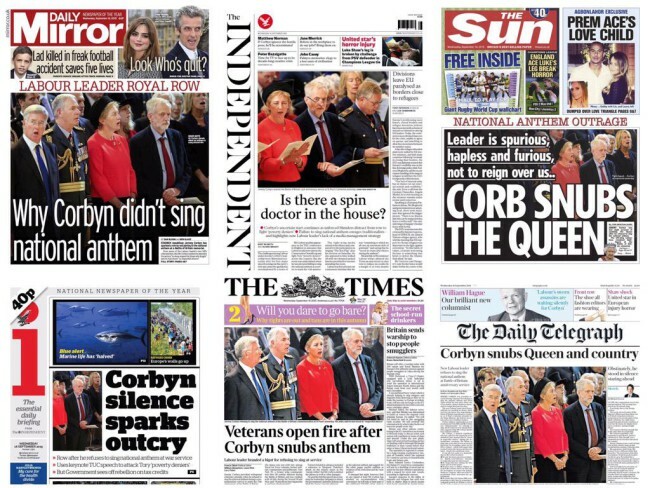 On this occasion Corbyn did not sing the anthem at an event to mark the 75th anniversary of the Battle of Britain.